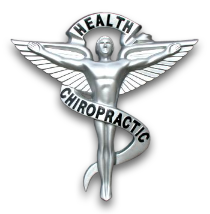 Located in the heart of Queen Creek, the leading health professionals at Haynes Chiropractic are dedicated to helping you achieve your wellness objectives -- combining skill and expertise that spans the entire chiropractic wellness spectrum. Dr. Noah Haynes is committed to bringing you better health and a better way of life by teaching and practicing the true principles of chiropractic wellness care. Patients seeking treatment at Haynes Chiropractic with Dr. Noah Haynes are assured of receiving only the finest quality care through the use of modern chiropractic equipment and technology. Dr. Noah Haynes and the staff have a genuine concern for your well-being! If you are new to our website, please feel free to discover and learn about chiropractic wellness. If you are interested in starting your journey towards wellness please subscribe to our award winning newsletter. If you are already a newsletter subscriber, please explore the member wellness section of our website for wellness articles, resources, and health facts---specifically targeted by Dr. Noah Haynes to your wellness needs and interests. Dr. Noah Haynes is a licensed Chiropractor serving the Queen Creek community. Dr. Noah Haynes has been freeing people from pain in the clinic in Queen Creek, AZ. As a Chiropractor with experience, Dr. Haynes is committed to promoting optimal health and well being of patients. "I have been going to Dr. Haynes office for almost a year now, and I am completely satisfied. He has been helping me with my neck issues. Dr. Haynes takes his time adjusting me and isn't in a hurry to get on to the next patient. Dr. Haynes is very kind and caring. I moved about an hour away from his office a few months ago, but I still make the drive to go see him because I don't want to go to anyone else. His receptionist, Linda is great. She is friendly and helpful." "Dr. Haynes is one of the best doctors I’ve been to. He is so nice and really cares about his patients! He has a different approach at healing your body than most mainstream doctors but it was very beneficial in my opinion." "Dr Haynes uses the Toftness method of chiropractic. I searched Phoenix and found him. I had a chiropractor in MN that used this method and I always got relief so I searched when I came to AZ. This method works and he is great to work with. I have gone to chiropractors that use other methods and never get relief from Carpal Tunnel but with this method I have immediate relief and it lasts. I send everyone to him. My friends get the same help."